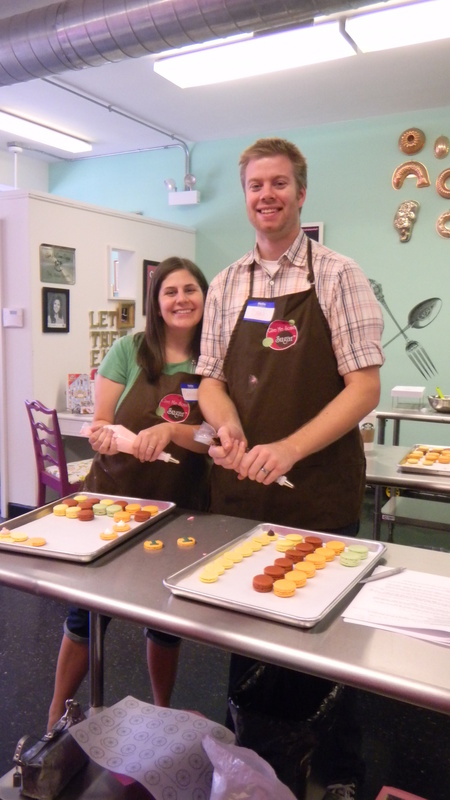 As part of my birthday present, Dan signed us up for a truly unique class where we learned the real way to make french macarons. Yes, those little bite sized morsels of heaven were all made my Dan and yours truly. We had the best time. 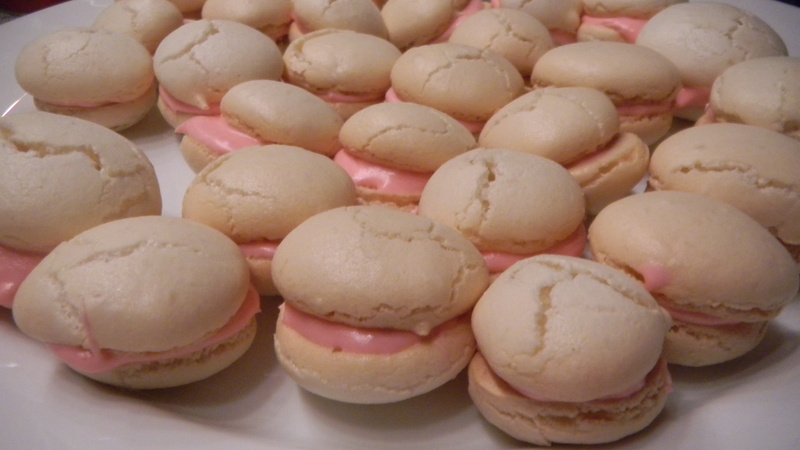 Ever since I was at a party last winter, and tasted my first macaron (it was a vanilla one, if you were wondering), I wanted to try making them. Finally, I tried out a recipe I found online. They did not come out awesome. Edible, yes. Even tasty, I’d say. But I knew they weren’t right. Just look at them. Now look at these gorgeous cookies. 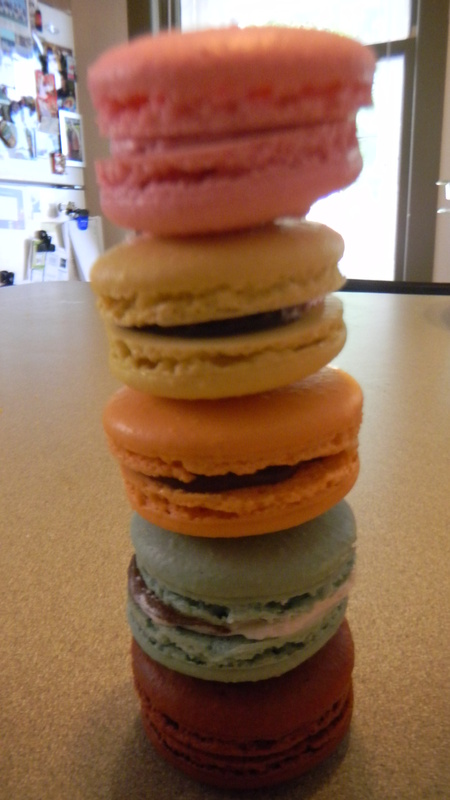 Five minutes into class, I already learned ten things I did wrong when making macarons at home. For starters, I just measured my ingredients using measuring cups. I learned that you always use a scale. 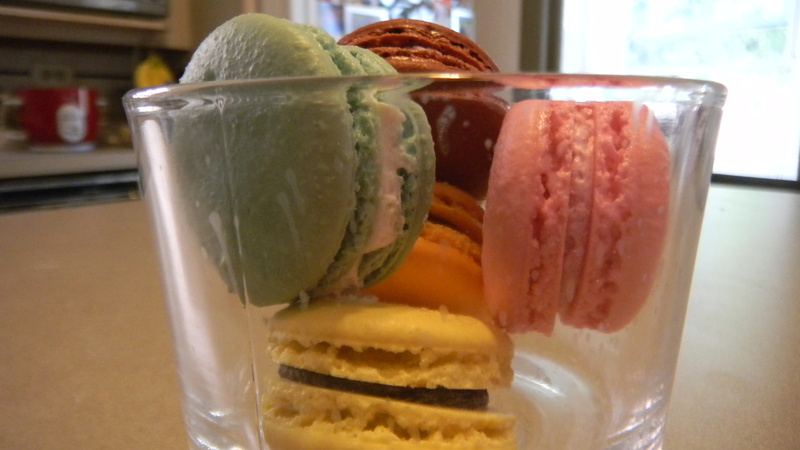 Macarons are nothing if not persnickety. One wrong move and your whole batch is kaput! 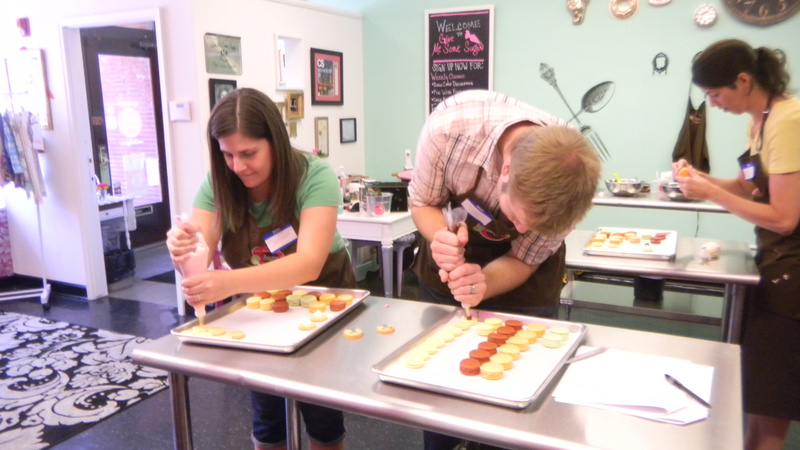 In any case, we spent a few hours with a pastry chef learning everything from how to properly mix the batter to the amount of filling you should use before you sandwich two of the cookies together. 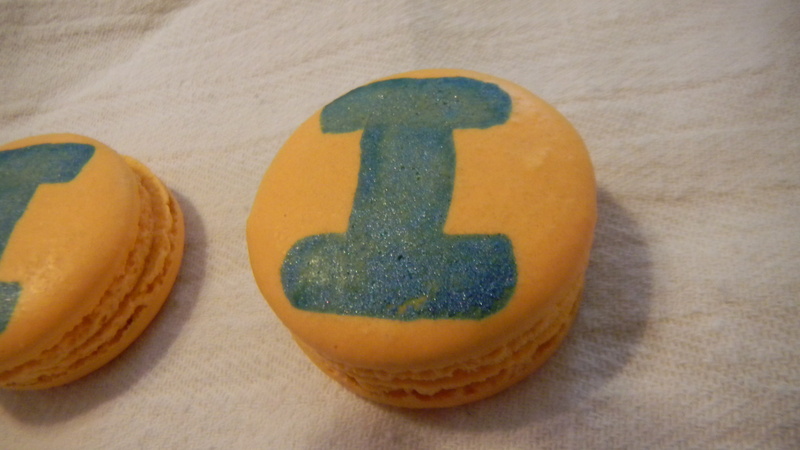 I even dabbled a little bit in cookie painting, though these two Illini macarons showcase the extent of my talent. 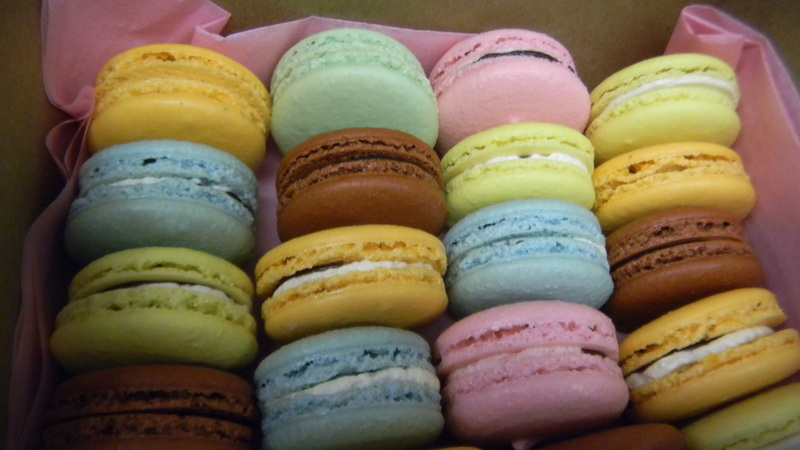 We ended up taking home a ton of macarons and I’m sorry to admit, we’re having problems finishing them all! I can’t let those guys go to waste. Looks like I have a goal for the weekend. Thank you to Dan, for finding this class and giving me a wonderful surprise for my birthday.